I answered the phone one Sunday in April 2005 and it was daughter Joanna. She said: “Mum, did you know Daddy is famous? I found an interview online that Jim Marshall did in 2003 and he said he has been looking for Dudley Craven for years!” I googled Dudley’s name and was amazed at all the articles and interviews that had been reported over the years. We had moved to Canada in 1974 and Dudley had lost touch with everyone he knew connected to the Marshall organization. He never knew they were looking for him. 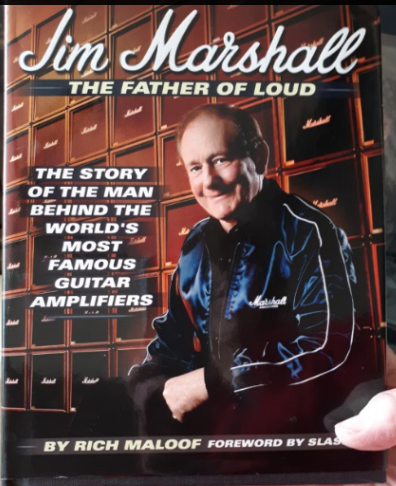 Jim Marshall called me the next morning. There was so many things I wanted to ask but he didn’t really know what to say to me, nor I to him. We chatted for a while and Jim talked mainly about himself. He asked “Have you read my book, the Father of Loud?” I said I hadn’t. “Talk to my PA” he replied “She will send you a copy”. And she did.